Follow Del Tackett and over a dozen scientists as they explore the science behind the history recorded in Genesis. This eye-opening film will transform the way you see the world. Get every IGH product for 33% off in the Complete Creation Bundle! You will be amazed at the overwhelming evidence for Biblical creation. From the recent discovery of dinosaur soft tissue, to the shocking complexity of DNA, to continent-sized layers of rock laid down during the Flood, you will see and hear incredible new things that confirm the history recorded in Genesis. Dr. Del Tackett, creator of The Truth Project, serves as your guide—hiking through canyons, climbing up mountains, and diving below the sea—in an exploration of two competing views and one compelling truth. Watch the full trailer or click on Film Clips to learn more from the scientists. 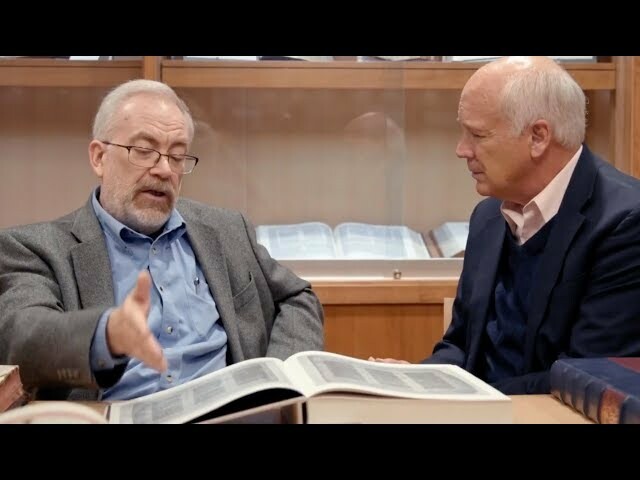 Each of these experts has spent decades working in his respective field to better understand how it relates to the history recorded in the Bible. 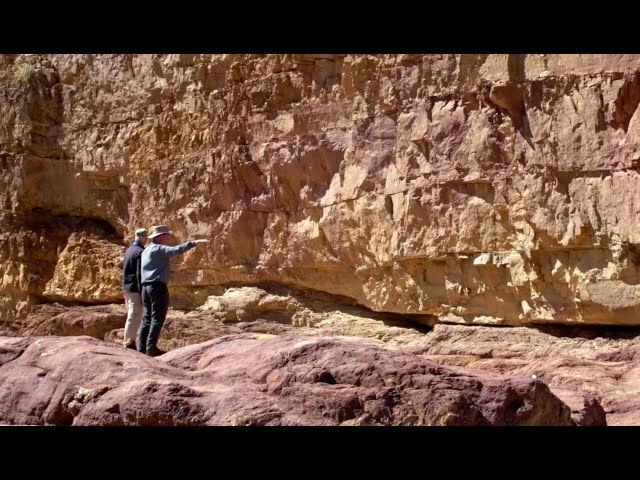 What is the Great Unconformity in the Grand Canyon? Are the Early Chapters of Genesis History? Download our free guide to the film. This movie was recommended to me for its breathtaking cinematography and production value, and I am disappointed in the reviewers who could only comment that because it was based on Creation science instead of Darwinist science (I could have said the Bible v. Darwinist faith/belief/theory) that it was propaganda. A movie that is slanted toward evolution is no different in its bias, only that it is based on the theory/belief/faith of Darwinian scientist. Plenty of solid science is in harmony with scripture and the account of creation. I am sick of the tired rhetoric of how Creationism is religion and Darwinism is science. By definition, they are both based on faith and neither can be proven by science, as none of us were there to observe it and creation cannot be recreated in a lab using the scientific method. Further, plenty of Darwinian theories violate basic laws of science. If so-called scientists are so confident that they are standing on solid science, and we on mere religious superstition, then stop using lame rhetoric to chase off creationists and answer the hard questions posed here. Also, stop using pseudoscience spokespeople like Bill Nye to state your case. Why not use Pee Wee Herman instead? EVERYONE should see this… just wonderful. Very interesting! It left me wanting more (but not in the sense that I still have questions). This is a very well done documentary. It shows, not only the differences, but the similarities of religion and science. It also shows that the dinosaurs aren’t as old as science leads you to believe. They talk about proof that they existed during the time of Noah & the Great Flood! Amazingly well put together! Loved it. Looking forward to more films. Kudos to the Truth project and documenting science that supports the belief of creation. Science and creationism can absolutely work in sync but we all too often hear scientists proclaiming random development without design and its a shame. This film presents science and explains the Bible’s creation account using science. Very well done. Beautifully filmed and wonderfully produced, this film poses credible evidence that makes one question the validity and adherence to evolution and the time involved in contrast to the biblical account described in Genesis. Several scientists like a geologist, marine biologist, astronomer present perspectives that demonstrate there are holes in evolution. The film covers so much material that is really too comprehensive to digest in seeing it just once. Very informative. Enjoyed the simple presentation of information as a conversation. No argumentative or arrogant tone. Great evidence, wish they went more in depth for a lot of it but I guess that would be too much for most audiences. Probably not ideal for kids as it is. But it may be good for high school or college audiences. This documentary is very well made and should strengthen the faith of any Christian as it has mine! It’s a reminder that Christians don’t need to have a blind faith but a faith that is backed by tons of evidence, of which this documentary shows a small portion of. I would have liked to hear more about polystrata fossils, bent rock layers and genetic entropy but you can only fit so much in one movie! All my Christian life ( 40 years ) I guess I just did not give much real honest consideration to the creation story. Sort of left it in the back of my mind and figured somewhere between the darwinists and the young earth creationists there was a compromise. Most likely YOU are in that boat right now. I encourage you to look into all the times Christ spoke of Noah and Moses. No. Really look at them. Then buy or rent this movie. You NEED to see this movie. Along with many of the great free videos on You Tube showing what a farce darwinism is and how the whole ‘scientific’ world is lying through their teeth. Very interesting, thoughtful and well constructed documentary. I enjoy most of what Del Tackett is involved in and this seems to be right on par with other materials. One aspect I particularly liked was that most of the scientists presented did not bash the science on the other side of the coin, which tends to put people off and ruin the effectiveness of the message. I’m looking forward to future installments of this series. Excellent documentary. Very informative. Quality is outstanding. So much good information. So much to ponder. Is Genesis History? provides a wonderful framework and focus for reconstructing our point of view to the “good sense and evidence” of the Holt Scriptures. I would encourage anyone to thoughtfully watch these videos for gaining an appreciation of God’s design and purpose in creation. And, therefore, gain an appreciation of God’s righteousness in judgment. Great job on this one. A must see. Finally, someone who allows science to answer those nagging questions left by the incomplete, narrow-minded evolution-only viewpoint! As a product of public education, I often came out of science classes wondering why the conclusions drawn by evolutionists left me with more questions than answers. Now I see it’s that those teachers weren’t willing to suspend their disbelief in the possibility of intelligent design long enough to consider that their dogmatic belief in chance was obscuring science itself. Del Tackett poses those tough questions to real scientists who are willing to consider all of the facts from a truly scientific viewpoint, ruling out what doesn’t make sense based on empirical evidence and probability. This is such a refreshing, eye-opening exposition of how science not only supports a young earth theory, but also exposes evolution as a theory based more on faith than facts. Great movie to make you think about science and whether we really know the truth or not based on scientific “facts”. Science is always changing. An excellent compilation of scientific explanation of why Creation is more believable than the theory of evolution which is full of unexplained gaps. I recommend this for Christians and all who want to know what happened. This is a very informative movie and explanation of the great flood that no one but Christians seem to really believe. It explained away many falsehoods we have been taught by modern man looking for man’s answers and ignoring God the Creator. Great story…covers too much information in too short of time. To properly address the subject would require a multiple set of DVD’s. This is perhaps the most balanced and fact / science based presentation on creation I have ever seen. The credibity of the scientists and their research back up the basis for God being the author of the universe. This movie makes a connection between historic events of creation that make a lot more sense than “Big Bang.” Something from nothing…how, unless your God. Excellent and reasoned look at the perennial subject Creationism VS Evolution. Will inspire those who believe the former. Will it cause those who believe the latter to really reconsider? It should. I could write on this for a while. It is amazing. The quality of this production is top notch. The way they cover the material is concise and clearly produced. This will hopefully open many people’s eyes to the fact that we’ve been fed one narrative on our origin and told it is the only narrative. By putting on a different pair of glasses and re-examining the data, we can see that science really does support creation over random chance. You can’t just watch this once. It’s amazing. With all the secular documentaries (e.g., Cosmos) and pseudo-science comedies (e.g. Bill Nye Saves The World) out there, Is Genesis History is a standout answer to the historicity of the Biblical account of Genesis 1-12. 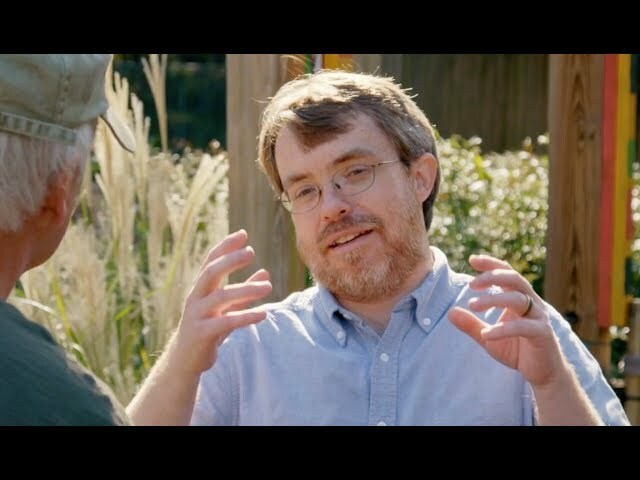 With a lineup of archaeologists, geologists, historians, and biblical scholars, this one documentary systematically goes through several different apologies for the biblical account. My wife and I first watched it on Netflix, but we considered this to be a must have. Can’t recommend enough! I especially liked that Dr Tackett put together science taught by learned PHD scientists along with the truth of the Bible. Everyone should see this DVD. We used Is Genesis History in Adult Education classes at our church. It was well received and we highly recommend this video to anyone who is seeking answers about where we came from and Who is really in charge here.